It’s getting hotter and summer time activities are getting into full swing. Take advantage of the longer days by doing gardening tasks in the morning or evening when it is more pleasant to be outside. 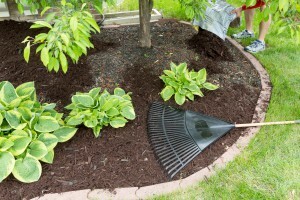 The best way to conserve moisture in the landscape is by mulching. A 3 to 4-inch layer over the root zone retains moisture, keeps the soil cooler and helps prevent weed seeds from germinating under your shrubs, trees and flowers. How is your garden doing? 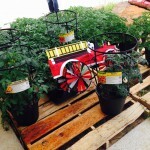 Tomatoes, onions, potatoes, green beans, squash and others should be ready for harvest. Your summer recipes should be full swing. 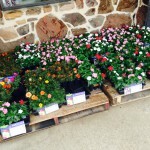 Visit Argyle Feed & Hardware today for all of your gardening needs including Bonnie Plants starter vegetables and flowering plants, seeds, potting soil, soil supplements, mulch and fertilizers as well gardening tools, hats, gloves muck boots, and wheelbarrows. 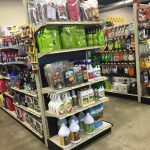 We also carry organic gardening products from Soil Mender and Miracle Gro. 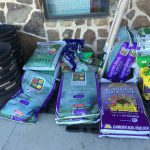 This entry was posted on Sunday, May 15th, 2016 at 10:45 pm	and is filed under Garden, News & Updates. You can follow any responses to this entry through the RSS 2.0 feed. You can skip to the end and leave a response. Pinging is currently not allowed.